Three cheers for summer! The BBQ is ready to go, I’ve successfully run the gauntlet of self-image crises that is the yearly bikini shop and I’ve purchased music only truly suitable for a Californian road trip. I’m heading out into the British sun to cook myself like an overdone roast chicken and I can’t wait. I know I’m not alone here – one look around any workplace after a sunny weekend reveals red noses, reverse panda eyes, and the unlucky few who wince every time they sit down. The ‘reverse panda’ – a fashion fad too far? Why do we do this? We know that tanning is bad for us, yet we can’t seem to help ourselves. Is it a self-destruct mechanism common to the entire population? Not quite. Research published last week reveals that, to some extent, we actually cannot help ourselves. Tanning, it turns out, is quite literally addictive. When you sun yourself, skin cells called keratinocytes produce a chemical called proopiomelanocortin, or POMC. POMC is then converted into a hormone that makes adjacent cells called melanocytes produce a brown/black pigment. Kind of like that time you embarrassed the girl next door and made her blush. This is tanning. POMC can also be converted into another chemical, β-endorphin. This is one of our happy hormones. Endorphin is an opioid (as are opiates like heroin), which explains our love of being in the sun. And this makes good evolutionary sense, because before the age of supplements and vitamin drinks (Oh, VitHit, shall I compare thee to a summer’s day? ), we humans needed to get our vitamin D from the sun, or else we’d get rickets and our bones would break and we’d fall down and get eaten by cheetahs, or perhaps by something more humiliating like weasels. It’s one thing to be happy to be in the sunshine, but quite another to have an addiction. To test the addictive properties of sunlight, scientists from the USA exposed mice to UV for 6 weeks. They found that their mice became addicted to the ‘sun’. The mice show many classic signs of addiction that might normally be associated with drug or gambling problems. For example, mice exposed to UV had higher levels of β-endorphin than counterparts kept in the shade, and showed signs of opiod dependence after only 2 weeks. This included getting ‘the shakes’ when they were prevented from getting their hit of sunshine. Once showing signs of dependence, the mice needed more UV to get the same endorphin high each day, and adopted sun-seeking behaviours — a particularly striking finding, because mice are nocturnal, and so normally prefer to avoid light environments. Of course, not many people get the shakes when they’re not in the sun. But there is some evidence to show that some people do have UV-seeking behaviours, which is suggestive of addiction. 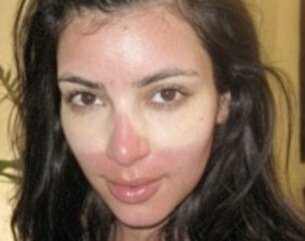 That person you know who says they’re addicted to sunbeds might not be exaggerating after all. So tanning is addictive. 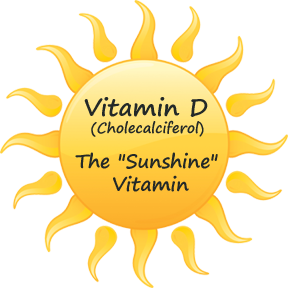 This was great when we needed to get our vitamin D from the sun, and only lived for 40-odd years. But the average life expectancy in the UK is now over 80 years, and skin cancer is a real danger for those of us spending too much time in the sun. What to do? In this study, the scientists cured the mice of their sun obsession by deleting a gene called p53. The protein made by this gene is responsible for converting POMC to its tanning hormone and β-endorphin. The mutant mice couldn’t tan and did not become addicted to the sun. Could we dampen p53’s activity in our own bodies to reduce the harmful effects of the sun’s rays? Err, no. p53 is perhaps the best known tumour suppressor gene in humans. This means that deletion or mutation of p53 might stop you tanning, but it will also make you more susceptible to breast cancer, bladder cancer, brain tumours… The list goes on. There might be a less radical solution to the problem. The authors of this work suggest that, as always when it comes to protection from the sun, the answer is sunscreen. Our addiction, after all, is not to beautiful feeling of the warm sun on our faces (nice as that is), but to UV. Effective suntan lotions provide a barrier between the skin and UV. So, we often find ourselves walking tenderly about the work place, trying not to rub any one painfully burnt area of our body against any other area. We repeatedly lay our pink and peely scalps down gingerly for a night’s unduly hot and uncomfortable sleep. Maybe we should remember that we now have one more reason to listen to Baz Lurhmann, and wear our sunscreen.